A microsite is a branded content site that is separate from your main site and often has an independent URL to distinguish itself from your primary site. They tend to be used to host individual campaign/event or for regular, ongoing content, such as a blog. They can provide marketers with greater flexibility to create an imaginative and engaging experience related to a specific theme or event. For music lovers Spotify has created Yearinmusic, an interactive site that is personalised based upon your listening habits over the previous year. The site allows you to build a personalised summary of the previous year, including your top artist by season, first played song and the amount of time you spent listening to music. The site also allows you to share and compare your unique recap of the year with your friends. Coca-Cola capitalises on our love of GIFs with the tastethefeeling interactive site based around the different emotions we feel when drinking Coke. 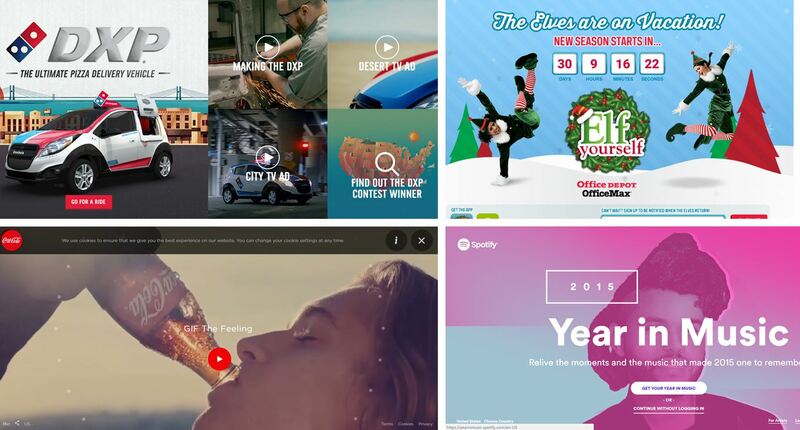 When you arrive on the site it plays a two minute music video made up of looping, three-second GIFs that show the different emotions experienced by Coke drinkers. It allows you to select one of the 32 emotion-based icons, or type in your own emotion to display the relevant GIF. The GIFs are downloaded and easily sharable on social media. 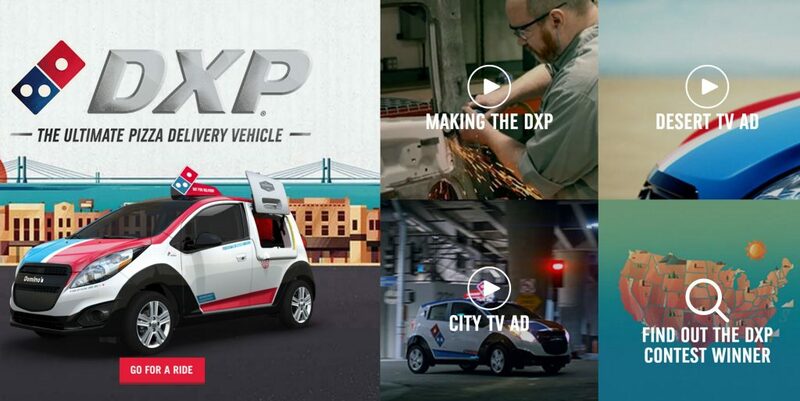 Domino’s Pizza showcases its purpose built Chevy Spark delivery cars on its DominosDXP site. This amazing car has been re-engineered to create space for up to 80 pizzas and it has an oven where the left door would normally be.